Forge Motorsport was founded in 1996 with the simple mantra to provide the BEST customer care and after service worldwide. With ideals of innovation, clever design, and manufacturing to the highest quality within the UK, Forge Motorsport products are now distributed to over 40 countries worldwide, with sister manufacturing houses Forge USA in Orlando, and Forge Asia in Taichung Taiwan. Forge Motorsport products have developed the largest range of replacement aftermarket blow off / recirculation valves, intercoolers and actuators in the world, together with coilover shock, brake, valve, hose and many other tuning products. Over the last fifteen years Forge have grown in to one of the UK’s premier manufacturers of products and accessories for race, competition and road vehicles, manufacturing alloy motorsport products for Subaru, Mitsubishi and all Japanese cars. All production is carried out in house on state of the art CNC machining centres by skilled programmers. The fabrication department produce some of the best intercoolers, fuel tanks and induction kits on the market. Forge supplyproducts to several F1, WRC, Le Mans teams, also several main OEM manufacturers. Most products are proudly Made in Great Britain. 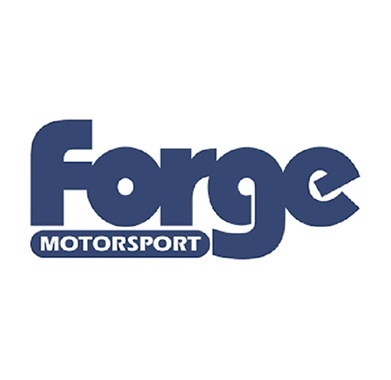 Forge Motorsport products are manufactured for all the cars we love – from the German VAG group, BMW, Mini and VW, through to all Japanese cars such as Honda and Nissan, and even British Marques like Morgan and TVR. A great range of ancillary engine tuning items such as alloy hose joiners, header and fuel tanks, and swirl pots and intercoolers allow not only huge tuning potential but multiple options for complete engine builds, making space in your engine bay, or fitting a new model engine to an existing build. The perfect match for us here at SVS.